The Abia State Judiciary is the 3rd arm of the Government of Abia State constitutionally vested with the power to interpret, construe and apply the law. The Judiciary in Abia State constitutes a system of courts, which comprises the High Court, Customary Court of Appeal, Magistrate Courts and Customary Courts. These courts through their respective Judges and Magistrates perform the adjudicating functions imposed by the constitution and the relevant laws creating them. Constitutionally the High Court of Abia State subject to some provisions of the constitution has the jurisdiction to hear and determine any civil proceedings in which the existence or extent of a legal right, power, duty, liability, privilege, interest, obligation or claim is in issue or to hear and determine any criminal proceedings involving or relating to any penalty, forfeiture, punishment or other liability in respect of an offence committed by any person. These proceedings also include proceedings in reference to its original, appellate or supervisory jurisdiction. The Customary Court has the jurisdiction to exercise appellate and supervisory jurisdiction in civil proceedings involving questions of customary law. The Magistrate court also has such civil and criminal jurisdiction as provided under the law creating it. In Abia State, quite a number of cases are filed every day. The Magistrate Courts dispose summarily about 80% of these cases while the High Court handles about 20%, which constitute the most delicate and complex matters. Appointment of Judges is done through almost the same procedure while that of Magistrates and Judges of Customary Court rest with Chief Judge in conjunction with the State Judicial Service Commission. The Customary Court of Appeal of Abia State consists of the President of the customary court of Appeal, and 3 other Judges as prescribed by the House of Assembly. Constitutionally, the appointment of the President of the Customary Court of Appeal is in all fours with the appointment of the Chief Judge of a State. In Abia State there are 45 customary courts and each of its 17 Local Government Areas has at least 2 customary courts. Each customary court is presided over by a Chairman and 2 other customary court Judges. The Chief Registrar of the Customary Court of Appeal is in charge of administration and he performs his duties with his Deputy and support staff like the Chief Registrar of the High Court for the effective administration of Justice. The functions of the Judiciary are carried out in different spheres. 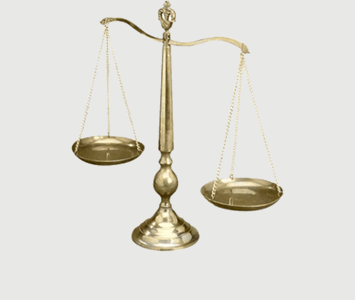 While some are adjudicatory, others are administrative and they are executed with the assistance of Court employees or attachees for the effective justice delivery. Presently in Abia State there are 23 serving Judges of the High Court, 4 Judges of the Customary Court of Appeal and 56 Magistrates. 14 Judicial Divisions and 28 Magisterial Districts also exist in the State. The Chief Registrar of the High Court is the Administrative Head of the Judiciary and the Chief Accounting Officer. She is directly responsible to the Chief Judge. She functions from the Head quarters at Umuahia and oversees the out stations. The Chief Registrar is responsible for all policy formulations, contracts and supplies to the Judiciary. She oversees all Departments and Sections within the Judiciary and keeps all Confidential Reports of all Officers from levels 7 to 17. She is also the Chief Probate Officer and Sheriff. The Chief Registrar also makes recommendations about the acting appointments, advancements, promotions, confirmations, transfer of service, secondment, suspension and dismissal in respect of all staff under him to the Chief Judge for verification and confirmation by the Judicial Service Commission. Assistant Chief Registrars, Principal Registrars, Senior Registrars, Higher Registrars, Registrars, Clerical Officers, Typists, Bailiffs, Plant Operators, Data Processors, Drivers, Messengers, Gardeners, Cleaners, Security Men etc. THE Abia State Judiciary is divided into 11 departments or units. Each departmental Head is directly responsible to the Chief Registrar. Registrars man the Out stations, which are also under the Chief Registrar’s supervision. They also work with other support staff. The Out Stations are mini replicas of the hierarchical set up at the Headquarters. However the Chief Registrar co-coordinating this administrative set up, it must be geared towards adroitly co-coordinating these into a single unity. Abia State Judiciary is currently embarking on some judicial sector reforms. In collaboration with the executive, and other stakeholders it has initiated the reform of its High Court (Civil Procedure) Rules, Court based Alternative Dispute Resolution mechanisms etc. The Judiciary is currently training and re-training its staff on ethics and professionalism, case management and optimum out-put through practice directions and other best-practice models. The Abia State Judiciary through its key officers headed by the Honourable Chief Judge is focused on resuscitating and maintaining the confidence of the citizenry in the judicial sector.